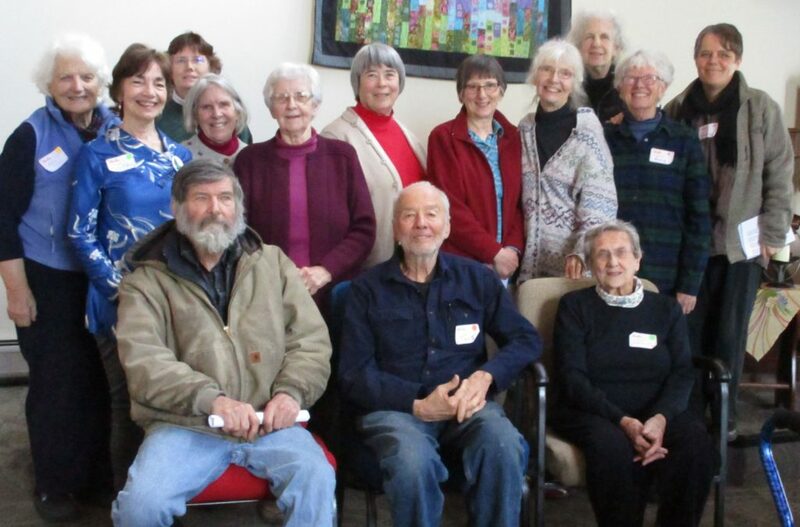 On a bright winter day, fifteen people gathered at the UU Church of Ellsworth to participate in a half day retreat hosted by Pax Christi Maine. 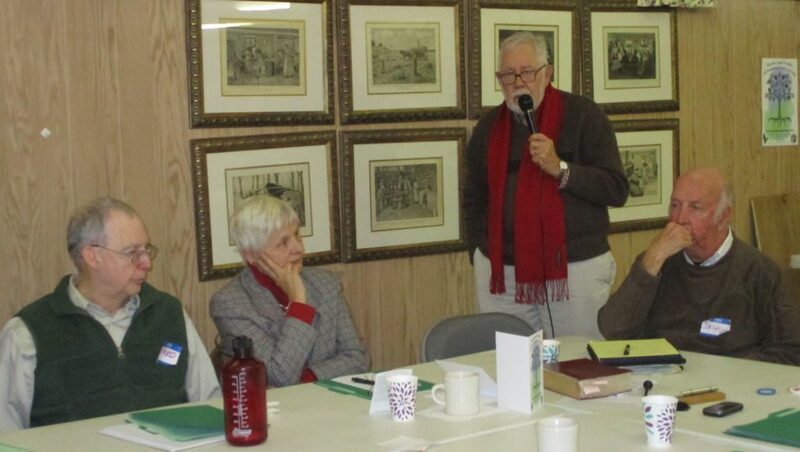 This was the first regional gathering for Pax Christi members from northern, eastern and coastal areas of our state. Our theme, “Loving our Enemies – Becoming Peace”, asked participants to pray & reflect on what many believe to be Jesus’ most radical commandment, “love your enemies and pray for those who persecute you.” Through prayer, chant, self-reflection, walking meditation, silence, sharing and song, participants sought a deeper understanding of how Jesus’ command to “Love Your Enemies” presents itself in our lives. Our experience together was enriched by our surroundings, a beautiful sanctuary and community space. The retreat content was prepared by Miriam Devlin, Nancy Earle and Mary Ellen Quinn. 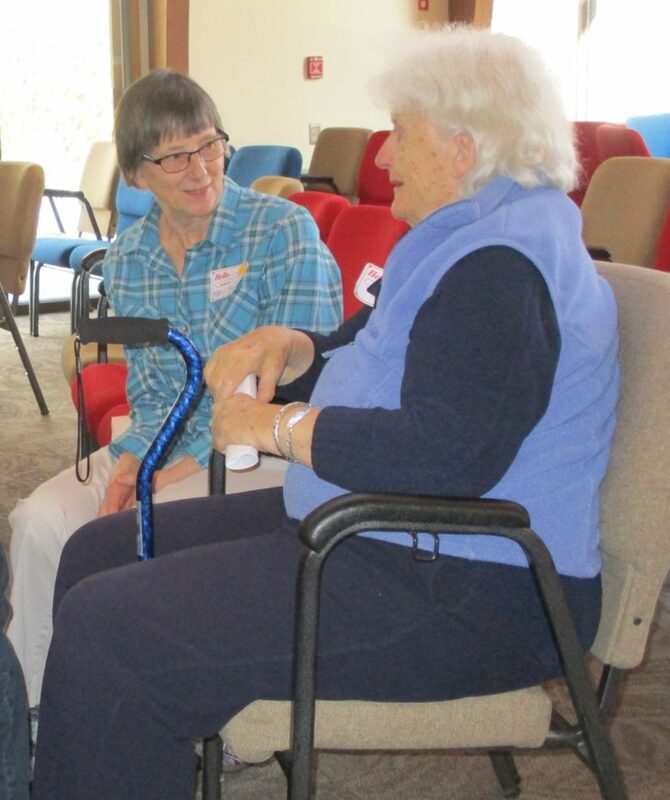 Guitar accompaniment was provided by Ann O’Brien who led us in song along with Anne Ferrara & Connie Jenkins. The opportunity for contemplation and sharing was very well received. WASHINGTON (CNS) — Two top Catholic Charities USA leaders outlined some of the short-term and long-term goals for the organization and its affiliates throughout the country Feb. 3 during the Catholic Social Ministry Gathering in Washington. Affordable housing is another of Catholic Charities USA’s strategic priorities. “In your own town, you probably know there are housing issues,” Corbin said. “Catholic Charities as an institution is the largest nonpublic provider of housing after the government. We are there. We will continue to be there,” he said to applause. Catholic Charities’ commitment extends to shelters, domestic-violence shelters, transitional housing and permanent housing, he said. He told the story of one man who had been largely homeless. “In one year he had 62 ER (emergency room) visits. Sixty-two!” Corbin said. That man was placed in transitional housing furnished by Catholic Charities, he added, “and you know how many ER visits he had the next year? One.” That alone saved the hospital $5 million in emergency room costs, Corbin said. Lucas Swanepoel, Catholic Charities USA’s vice president for social policy, cautioned against complacency setting in due to what he called a “booming” economy. “We’re not done addressing poverty,” Swanepoel said, noting that 12.3 percent of Americans still live in poverty in the United States, or 39.7 million people. Moreover, 27.4 million live without health insurance. In the early part of 2019, those making their first visit seeking such help were more likely than not to be federal government employees who had been furloughed due to the five-week government shutdown, according to Swanepoel. And these were “people with dream middle-class jobs,” he said. Catholic Charities “stepped into the fray with the help of the (Catholic) bishops’ conference,” he added. “We took on that cost ourselves.”Catholic Charities USA, which has 166 diocesan affiliates, was one of several Catholic organizations co-sponsoring the Feb. 2-5 Catholic Social Ministry Gathering. 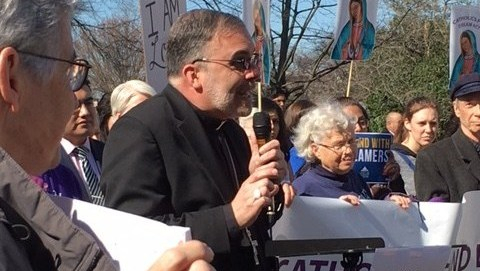 The annual gathering is organized by the USCCB’s Department of Justice, Peace and Human Development in collaboration with seven other USCCB departments and 15 national Catholic organizations. One day after the United States withdrew from the Intermediate-Range Nuclear Forces (INF) Treaty, Russia followed suit. 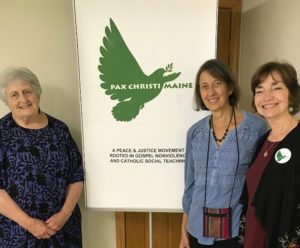 Pax Christi USA believes neither the United States nor Russia should withdraw from any treaties which limit the number of nuclear weapons possessed by any nations. In particular, we note that since 1987 the INF Treaty kept both the United States and the then USSR, now Russia, from developing and deploying certain intermediate range nuclear weapons. Substantive progress on nuclear disarmament concerns all countries. Accordingly, in 2017, the United Nations General Assembly approved the Treaty for the Prohibition of Nuclear Weapons, and that same year, Pope Francis unequivocally condemned possession of nuclear weapons. Nuclear weapons are immoral, and any government which moves to develop a nuclear arsenal or add to its existing nuclear arsenal should be condemned. A global majority of states are providing leadership for the elimination of nuclear weapons, yet the U.S. and other powers are modernizing their nuclear arsenals instead. Abandoning the INF will intensify this already alarming trend. 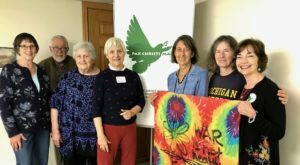 Therefore, Pax Christi USA urges the U.S. and Russia to return to the treaty and to begin new arms reduction negotiations as soon as possible. 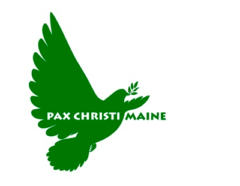 Pax Christi Maine held our annual retreat on the weekend of November 17-18, 2018 at St. Augustine Church Hall in Augusta. 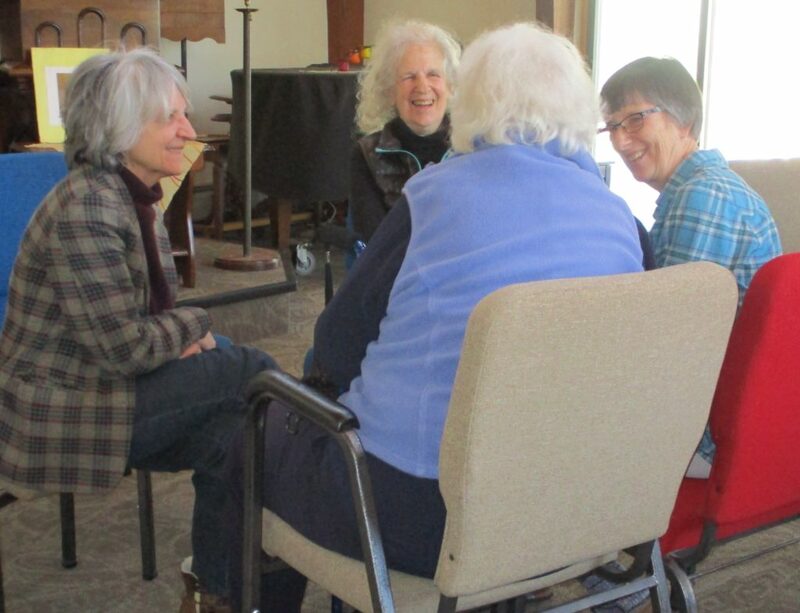 The retreat, titled “Becoming Peace: Continuing Our Nonviolent Journey in Turbulent Times” included prayer, silence, individual reflection and small/large group sharing. In preparation for the retreat, participants were asked to watch a TED talk video given by Valarie Kaur titled “Revolutionary Love.” Ms. Kaur is acivil rights activist, lawyer, faith leader, and founder of the Revolutionary LoveProject which promotes love as the foundation of our lives and our politics. 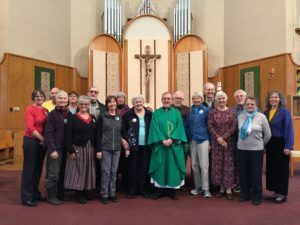 The Saturday session was facilitated by Jack Seery, an experienced retreat leader and member of both PCM and Unity of Greater Portland faith communities. 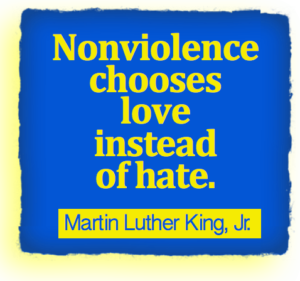 Through scripture reflection, silence and a series of questions intended to elicit our response to the turmoil of our times, Jack guided the group to explore our journey of faith and practice of nonviolence. Throughout the day, we prayed the Prayer of St. Francis led in song by Ann O’Brien on guitar. A lovely prayer corner designed by Georgia Kosciusko added to our contemplative practice. 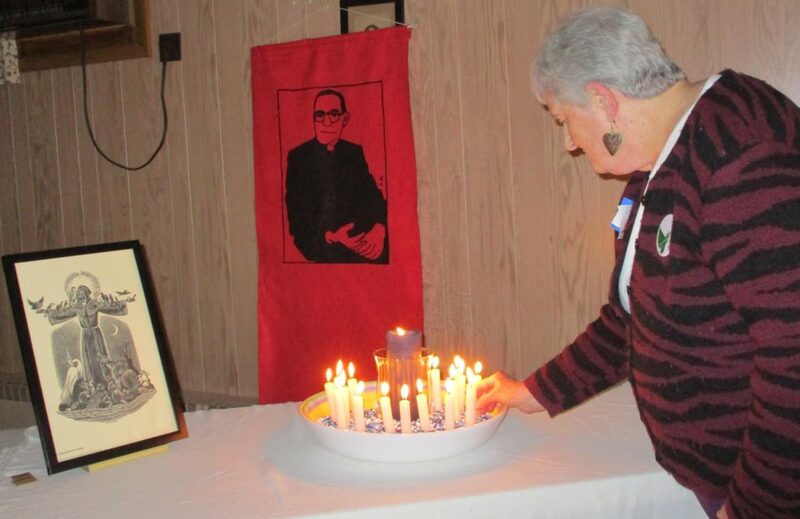 Before supper, people joined in a prayer service coordinated by Mary Ellen Quinn which included a candlelight ritual where social concerns of our times were named and held in prayer. We also remembered deceased members of PCM as well as others who have inspired peacemaking and the practice of nonviolence in our lives. In the evening, Denny Dreher presented on the role of Compassion both toward ourselves and others. We discussed and shared how we demonstrate and live out Jesus’ teachings on love and compassion. Many Pax Christi members gathered on Sunday to participate in Mass at St. Augustine Church celebrated by Rev. Mike Seavey, parochial vicar, and then gathered for a final discussion over brunch. We will continue to gather for ‘mini retreats’ in small regional groups throughout the coming year. Sincere thanks to all members who assisted in set up of the space, who planned, implemented and participated in our fall retreat.